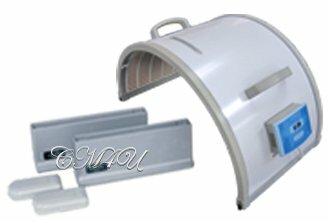 SOQI Bed: A Far Infrared Sauna Spa. head office, Los Angeles, CA, USA. working in harmony with the body. 1) Natural healthcare in the comfort of your home. 2) NO side effects, NO chance of injury. 3) Each machine has unique energy qualities. 4) All machines are of the highest standard, created in Japan, built to last for many years. 5) All machines are globally recognized as medical device. This Passive Aerobic Exerciser promotes benefits that include temporary muscle pain relief from soreness, tension and fatigue, oxygen, circulation, stimulation of the autonomic nervous system, metabolic waste elimination via the lymphatic system, gentle back support, enhanced respiration and meditation, mental focus, sounder sleep, fast relaxation, stress release and much more. Feel the healing rush of Chi through your body when the machine stops. Use the Original Chi Machine before breakfast for a kick start to the day, or before bed for relaxation. Begin at 4-6 minutes (1-2 minutes if frail), and work up to 15-20 minutes per session. Also ideal for warming up and cooling down before sports activities. 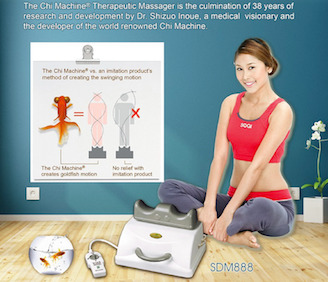 FYI:This is the Original Chi Machine as showcased on four TV health shows, endorsed worldwide by health care professionals and athletes as well as prestigious health and sport magazines and medical journals. Used in health clinics, day spas, yoga centers and hospitals. May be used anywhere, anytime, all body types - Ages 4yrs to 100yrs. 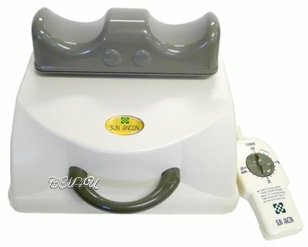 SOQI ceramic heater for the body. A topical warming unit for all ages. on the market today, low EMF. Close to the body for maximum benefits. 8-10 microns, most beneficial to the body. No sweating is involved and clothes do not have to be removed as with traditional saunas. One hour per session is ideal, lying on back or face down. Dome may be moved to area of the body needing attention. 1 to 3 domes may be used for whole body therapy. May also be used by Pets. Far Infrared Heat is naturally radiated by the sun, and is also generated and shared by all living beings. Nothing can live or thrive without it. Far Infrared thermal therapy is commonly used in Europe and Asia, (known as hyperthermia). The human body is a natural electro-magnetic generator. The science of Electrotherapy promotes cellular energy, re-connection, communication and healing. 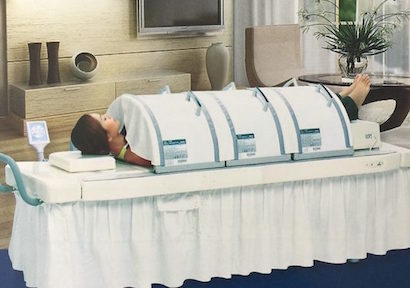 Advanced healing energy machine with low frequency magnetic pulse waves that promote re-connection and communication of the electrical circuitry of the body. The E-Power Machine has a belt that you wrap around your waist (velcro closure) connected to a portable, lightweight control unit. Sit back, put your feet up on a stool, a couch or a bed and relax. Choose from three settings, low, medium or high, and length of time - 30 minutes to 1 hour is ideal. plus FREE E-Book and Video. Powerful reflexology massage and stimulation via two heated footrests, targeting aches, pain, soreness, poor circulation and muscular tension, in the feet and legs. Promotes return of feeling for those who have lost sensation. You may also place your hands or wrists on top of the machine. Six electro-pads are included which act as TENS units to target local pain such as back pain or shoulders with tight sore muscles. Sit down, place your feet on top of the padded footrest and relax. 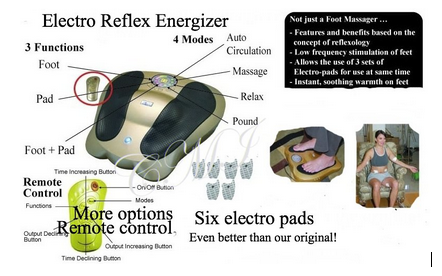 The electrodes can be used on the body at the same time. 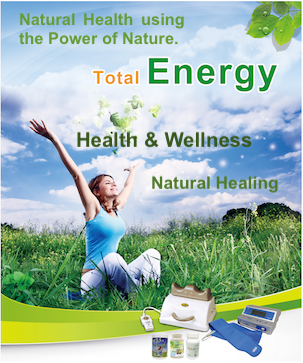 The machine comes with a remote control to adjust the strength of energy received. 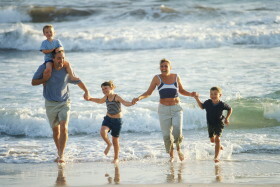 Choose from four available settings - 15 to 30 minutes per session is ideal. 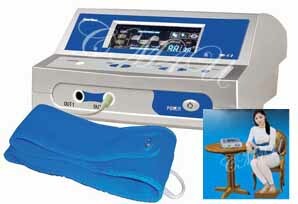 Electrotherapy is used extensively in Germany and Russia for health and wellness. Comes with FREE Carry Bag. Snuggle up with this high quality, soft and cozy Far Infrared heating pad. Are you not feeling well? Is it that time of the month? Do you have a sports injury? Are your shoulders all knotted up? This heating pad will help relieve aches, pains, stifness and soreness. Adjustable temperature: 68F to 131F. Set the digital timer, close your eyes and relax. An ideal gift to yourself or for someone you care about. 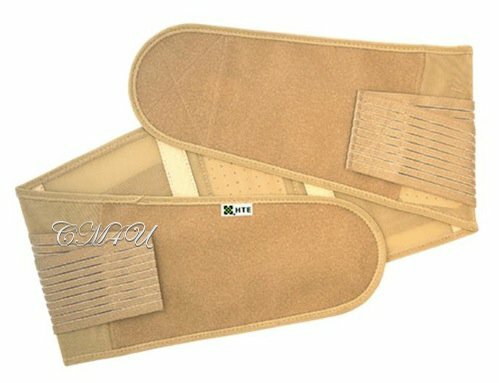 Flexible but firm back support with velcro closure, and soothing far Infrared heat. Popular with women who use it as a waist cincher. Promote, correct and maintain posture - great choice for computer users. Pamper yourself or your clients. Down payment plus x5 Month Installment Plan. Luxury massage table with built in speakers and MP3 player, face cradle, touch control panel, head-rest pillow, curtains and x3 Far Infrared Dome Sauna, plus x1 Chi Machine. The ultimate natural healing spa combining Far Infrared heat with passive aerobic exercise for massage, superb relaxation, health, wellness and healing. Combination of motion energy, thermal energy and your own customized music therapy.